Astana reflect on a successful 2016 and look forward to 2017 (all images BettiniPhoto©2016). It’s been another great year for Astana Pro Cycling, with a dramatic victory for Vincenzo Nibali at the Giro d’Italia taking the headlines, and Diego Rosa racing to silver at the Rio Olympics. Gatis Smukulis took the Latvian Time Trial title while Dmitriy Gruzdev won the equivalent championship in his native Kazakhstan. The year’s ITT performances were honed by strong Team Time Trial performances – the squad running Vision wheels, aerobars, cranks and cockpits including the Metron 5D Integrated bar. It was a clockwork win on the stage 2 TTT in the Vuelta a Burgos in early August around the beautiful city in northern Spain – putting Movistar, Etixx-QuickStep, Sky and BMC in the shade. Astana’s super-domestique Tanel Kangert also stepped out of the shadows this year. In April, an Astana TTT victory on the first stage of the Giro del Trentino set him up nicely for two more stage victories and second overall – a feat he surpassed in October with his Abu Dhabi Tour GC victory. A great team effort by Cannondale-Drapac saw the resurgent Vision- and FSA-powered US-based team leap from 16th to 8th in the UCI rankings. The team’s second-place finish at May’s Giro d’Italia was helped by three podium finishes – thanks to the Italian Moreno Moser (stages 8 and 18) and the American Joe Dombrowski (stage 20) – and backed up with a third-place team finish in September’s Vuelta a Espana. 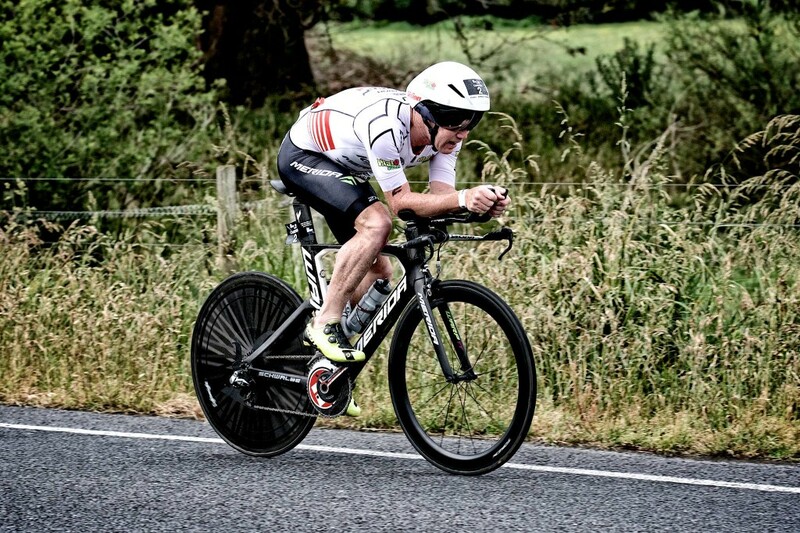 Elsewhere it was great to see the Vision-powered team smashing the Czech Tour’s Team Time Trial and very encouraging to see Patrick Bevan claim the New Zealand Time Trial Championship in great style, putting more than a minute into Tom Scully and his other rivals. Lampre-Merida’s Italian duo of Sacha Modolo and Diego Ulissi shone on home soil at the Giro d’Italia, finishing third and fourth in the points, with Ulissi matching his fourth in the Sprints competition and taking third in the Combativity ranking. Sprinter Modolo maintained his form across the three weeks, stepping up to the podium on stages 2, 7 and 21. But 2016 was a year of fighting on many fronts for Lampre-Merida, with one-day race success coming from the Portuguese Rui Costa’s third in Belgium at Liège-Bastogne-Liège while Italian Diego Ulissi took the GC win at Czech Cycling Tour and third overall in the Middle East at the Abu Dhabi Tour. And it’s with an eye to the east that we note Yukiya Arashiro and Davide Cimolai claiming stage wins in the Tour of Japan and the Slovakian Marko Kump bagging two stage wins at the Tour of Qinghai Lake. Looking to the future it was pleasing to see the South African Louis Meintjes taking second place in the Tour de France’s Young Rider Classification. At this year’s Giro d’Italia Lotto-Jumbo’s Steven Kruijswijk looked to be on for an almighty upset as he led the race for three days, including a masterful mountain time trial on stage 15. The Dutchman clocked the best time at the first time check after 4.4km and kept that performance into the steeper climbs, holding on and eventually finishing just one second behind stage winner Foliforov. Kruijswijk’s performance was strong, but his luck fell through, with a crash leading to delays he could never claw back, losing his lead to Astana’s Vincenzo Nibali and eventually finishing fourth on GC. It was Lotto-Jumbo’s Primoz Roglic, who had set the Giro TT tempo on stage 1 in Apeldoorn, Netherlands, pushing local hero Tom Dumoulin to a margin of just 0.01 seconds. It literally couldn’t have been closer, but Roglic was to have the last laugh in the second ITT at Chianti. Crouched behind his Vision cockpit, the Slovenian timed it perfectly on the 40km course, coming from seventh at the first split to lead at the final split, holding on to put 10 seconds into second-placed Matthias Brandle. This form ensured he took the Slovenian National Time Trial Championships while over in Belgium Victor Campenaerts claimed both the National TT title and a commendable second in the European Time Trial Championships. 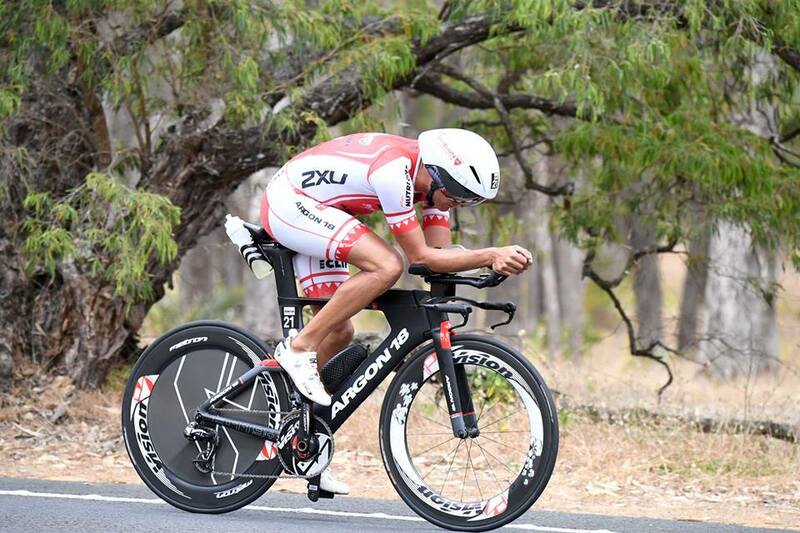 Bora-Argon 18’s year saw a GC podium from the 32-year-old Czech Jan Barta at the Tour of Slovenia, where he also took a hard-fought sixth in the Individual Time Trial (stage 3), before placing second in the Czech Republic’s Time Trial Championship. Elsewhere there were stage wins at the Tour d’Azerbaïdjan for Germans Phil Bauhaus and Michael Schwarzmann and for Bauhaus again at the Oberösterreichrundfahrt along with Lukas Pöstlberger at home on Austrian soil. José Mendes was victorious in the Portuguese Road Race Championships. Cofidis’ French sprint ace Nacer Bouhanni set expectations for the summer with double stage wins at Volta a Catalunya, followed by stage wins at Vuelta a Andalucía and Paris-Nice, then hitting the podium and wearing green at the Criterium du Dauphiné – the traditional show of form ahead of the Tour de France. Despite Bouhanni’s late withdrawal due to injury, Cofidis enjoyed a strong showing in the Tour, with the Spaniard Dani Navarro taking two podiums – on stages 7 (the Tour’s first Pyrenees climb) and stage 12 (dancing on his pedals up Mont Ventoux while some riders were running on their cleats). Elsewhere it was hats off to Gert Jõeäär, winning the Estonian Time Trial Championships for the third year straight. The experienced Thomas Voeckler showed a return to great form this year for Direct Energie, the breakaway specialist winning stage 1 and overall in Tour La Provence, then stage 3 and the overall in the second Tour de Yorkshire. Sprinter Bryan Coquard packed his palmares, powered by Vision wheels, cranksets and cockpit, by winning the first three stages and the overall at the Four Days of Dunkirk; the prologue, stage 2 and overall victory at the Boucles de la Mayenne; then the first two stages of the Route du Sud – la Depeche du Midi. But both bright lights were outshone by the 24-year-old French neo-pro Lilian Calmejane at the Vuelta a Espana, who bagged a solo victory on the Alto Mirador de Veixia. Look out for him in 2017! Michelle Vesterby won Challenge Denmark and Ironman Copenhagen (with a sub-9-hour time), in a season that also included top-five finishes at Cannes, Mallorca, Wiesbaden and Arizona. But it was the intense preparation for Kona that was the focus of the season, and an incredible performance rewarded her with fifth place. “They say that it is some of the harshest environments race ever run under, because of the heat and humidity. And yes, it was a hot day at the office – but I felt good throughout,” said Michelle. And the final line goes to Vision athlete, the fastest American Ironman ever, Andrew Starykowicz. Andrew was involved in a very serious accident while training, in August this year. His injuries have included breaking both legs, so understandably it’s a long road to full recovery. We wish Andrew and his family all the best at this time of year, and throughout the coming year.